'Valkyria Chronicles 4' is coming to PS4, Xbox One and Switch in 2018. 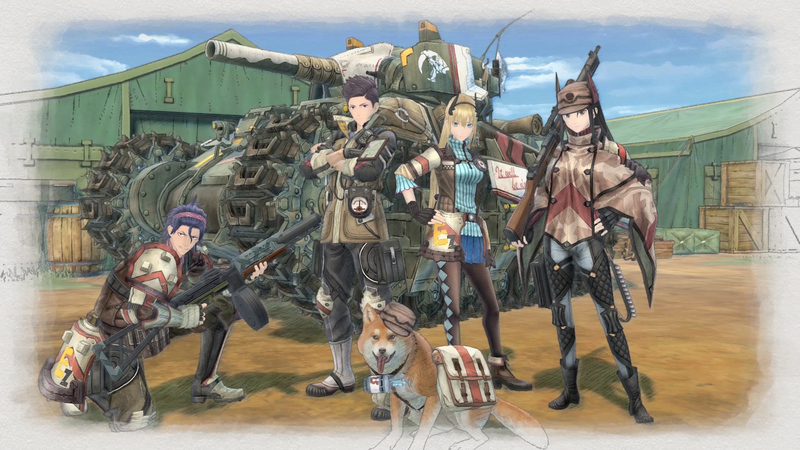 Sega is finally making a proper sequel to Valkyria Chronicles. The original, which came out in 2008, was a refreshing blend of top-down strategy and third-person warfare. You led rookie officer Welkin Gunther and his makeshift squad through a fantasy-infused version of World War II. The tactical combat and watercolor artwork made it a cult hit, however Sega (until now, anyway) didn't seem interested in a console follow-up. Instead, the publisher released two sequels for the PlayStation Portable and a panned spin-off, Valkyria Revolution, for the PS4 and Vita earlier this year. Enter Valkyria Chronicles 4. As Kotaku reports, the game will revive the strategy formula of the PS3 classic. You'll take control of Commander Claude Wallace and a new group of soldiers as they battle through an icy nation. It's set during the events of the first Valkyria Chronicles, so the vehicles, weapons and solider types should be fairly similar. The frozen setting, however, will provide new challenges for players who have mastered the original's woodland and desert-themed skirmishes. Intrigued? It's out next March on PS4, Xbox One and Nintendo Switch in Japan; an international release will presumably follow shortly after.